An early melt event over the Greenland ice sheet occurred this week, smashing by a month the previous records of more than 10% of the ice sheet melting. Based on observation-initialized weather model runs by DMI, almost 12% of the Greenland ice sheet had more than 1mm of melt on Monday 11th April, following an early start to melting the previous day. Scientists at DMI were at first incredulous due to the early date. “We had to check that our models were still working properly” said Peter Langen, a climate scientist at DMI. “Fortunately we could see from the PROMICE.dk stations on the ice sheet that it had been well above melting, even above 10 °C. This helped to explain the results”. The former top 3 earliest dates for a melt area larger than 10% were previously all in May (5th May 2010, 8th May 1990, 8th May 2006). Around the coast of Greenland where DMI has climate records dating back to 1873, Greenland came close to setting a record temperature for the whole of Greenland in April. 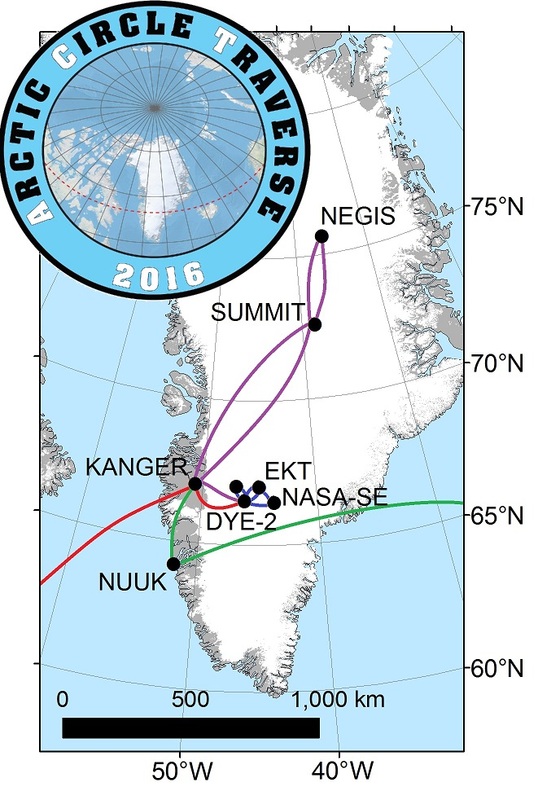 Kangerlussuaq measured a daily maximum of 17.8°C, the previous record is 18.0°C and the DMI observation station at the Summit of Greenland set a new “warm” April record of -6.6°C. 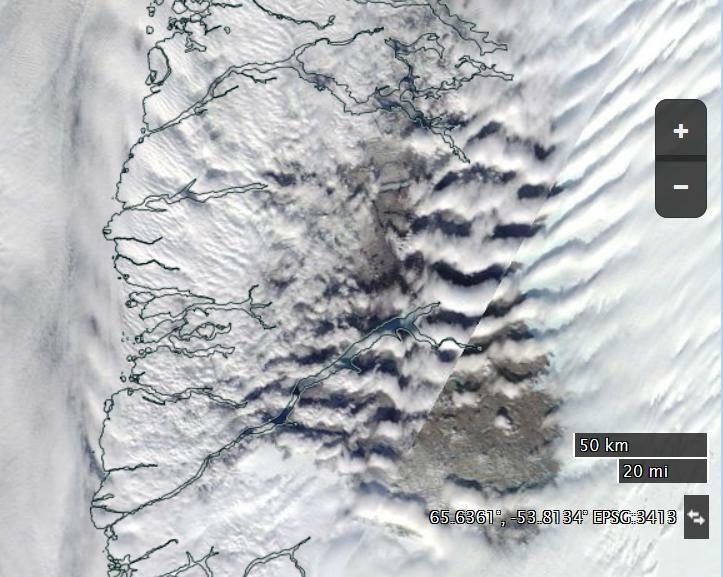 “Everything is melting” observed Nuuk resident Aqqaluk Petersen. 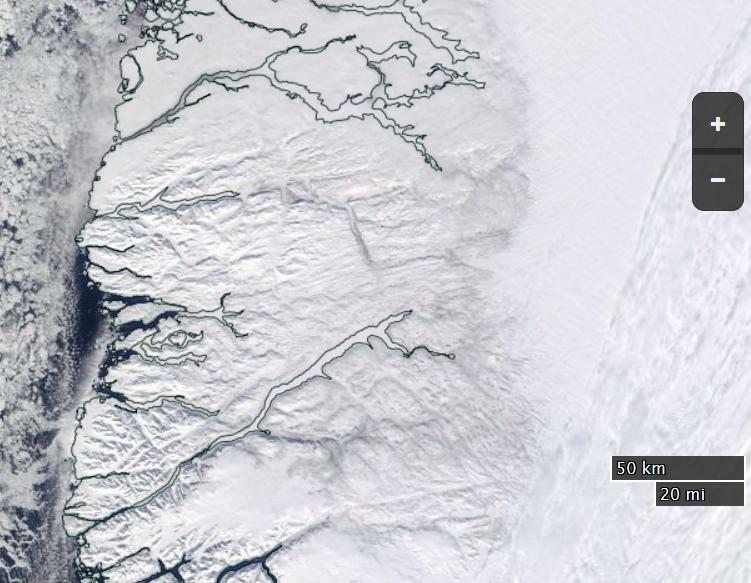 The melt was driven by warm air advected from the SW bringing rain along the coast, similar to an extreme melt event in 2012 when 95% of the surface of the ice sheet had melt, a situation that has been reported in detail by GEUS and DMI scientists (Fausto et al., 2016). 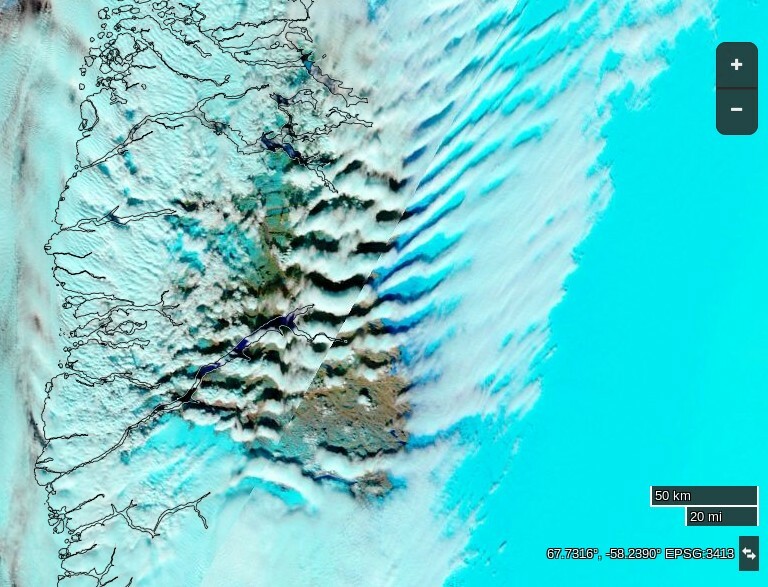 It has been brought to my attention that the cloud cover in the first image above makes it difficult to see the melting ice sheet. 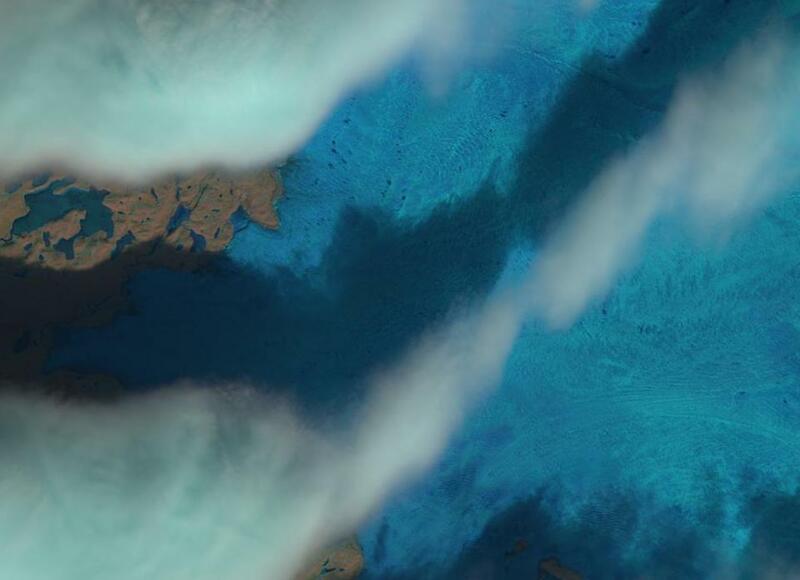 By way of explanation, at this time of year you can use images derived from the MODIS instrument on the Aqua and Terra satellites and the VIIRS instrument on the Suomi satellite to watch the snow cover retreat across Alaska, Canada, Siberia and indeed Greenland. Yesterday, April 11th, a high-temperature pressure ridge settled over Greenland and began thawing in earnest, with 12% of the ice sheet experiencing melt. It set records, breaking the previous record (the earliest day with ≥10% of the ice sheet melting) by almost three weeks. This feels eerily similar to our 2012 season, when low Arctic sea ice levels, warm Spring temperatures and low accumulation rates were precursors to a record-setting melt summer. Those preliminary dominoes are all set again, right now. It was kinda funny, though true, BREAKING NEWS! first mosquito of season, an unwelcome reality of a warming climate.